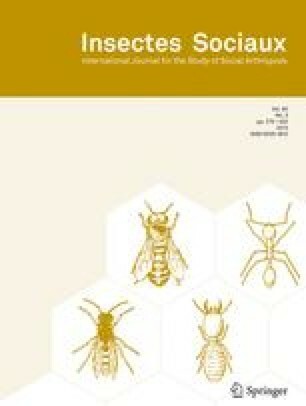 The behavioural patterns of nurse bees that had drifted into a neighbouring colony differed from those of non-drifted sister bees of the same age living in the same colony. Drifted bees spent significantly more time inactive and performed brood care tasks less frequently. Our results show that drifted bees contribute less to the benefit of a colony but have no lower individual benefit, and partly explain a prolonged longevity of drifted bees. Key words: Apidae, nurse honey bees, drifting, behaviour. Received 16 December 1997; revised 10 March 1998; accepted 19 March 1998.